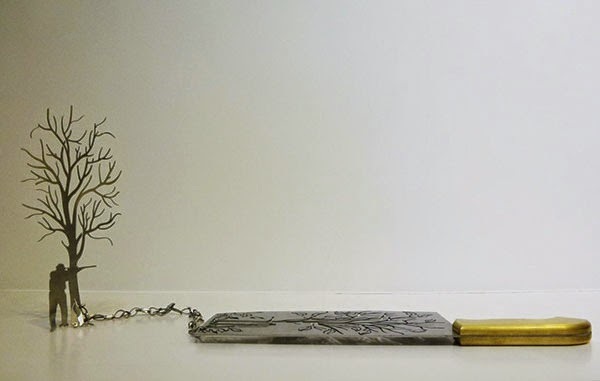 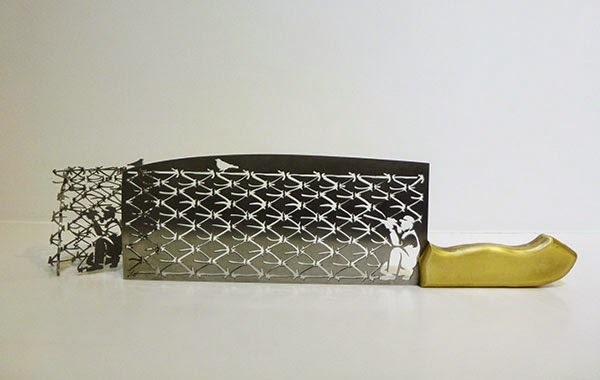 Patterns carved out of metal knives by Beijing-based artist Li Hongbo. 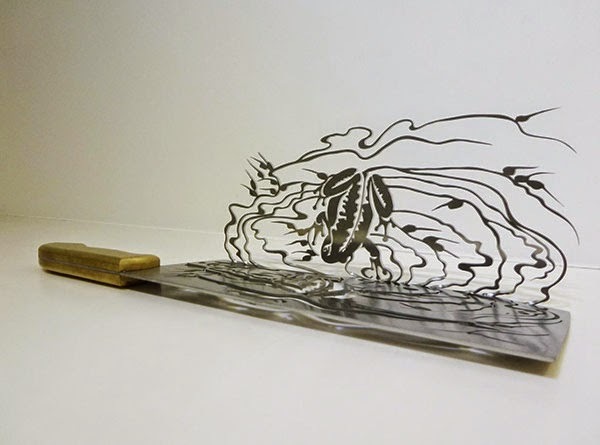 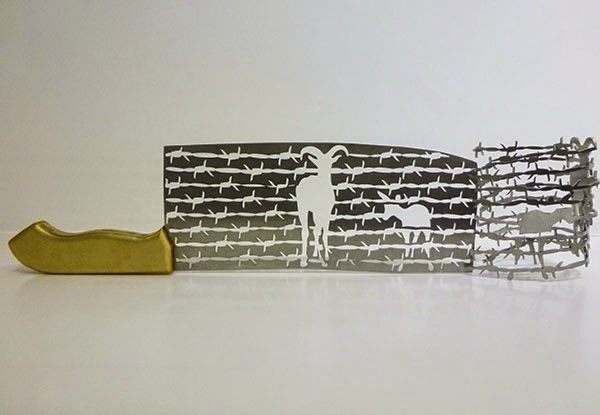 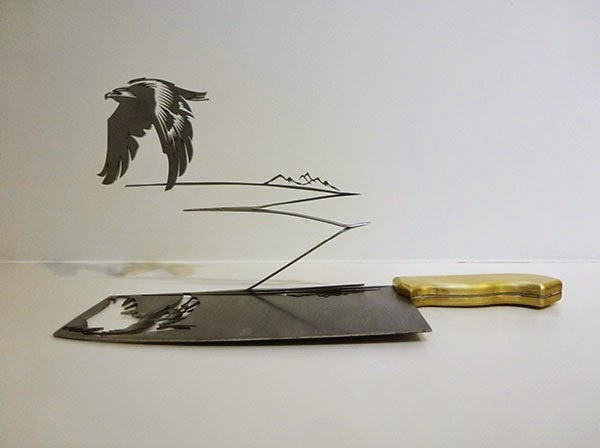 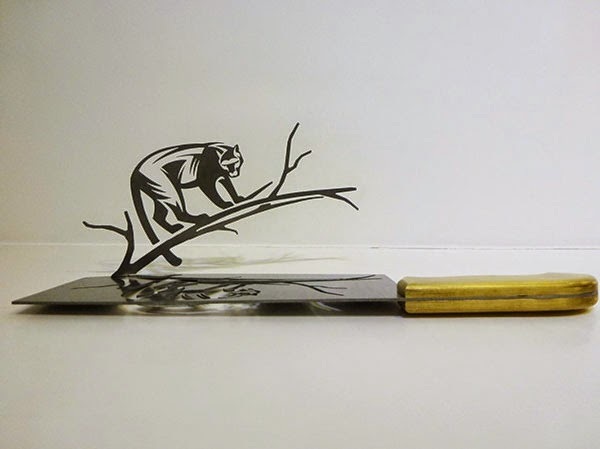 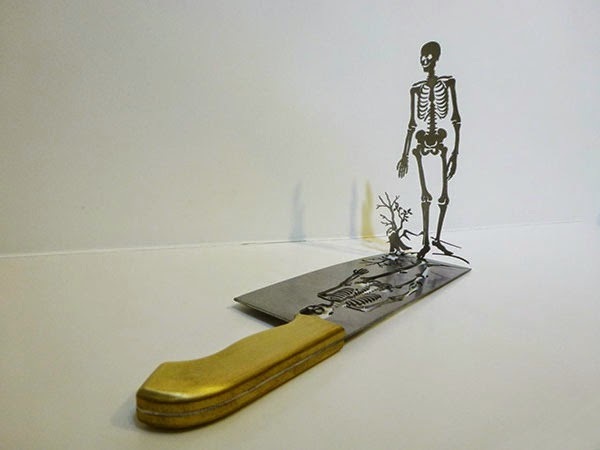 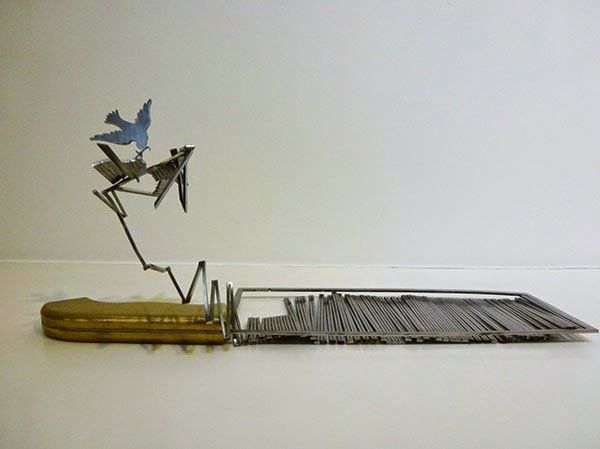 The carved out parts—the shadows—mirror the hollow parts of the knives which are manipulated into different shapes, echoing his previous expandable paper sculpture series. 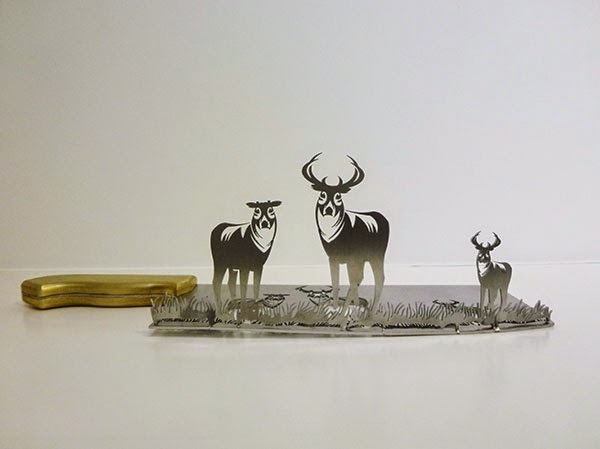 On view at Contemporary by Angela Li.